Need to chase or complain about services? SEND Information, Advice and Support Service (SENDIASS), formerly the Parent Partnership Service, provides information, advice and support to parents of children with special educational needs who have concerns about how their child is being supported in school. IPSEA – Independent Parental Special Education Advice – also offers free information service and an advice line. It can help with SEN appeals and disability discrimination claims to the Special Educational Needs and Disability Tribunal. 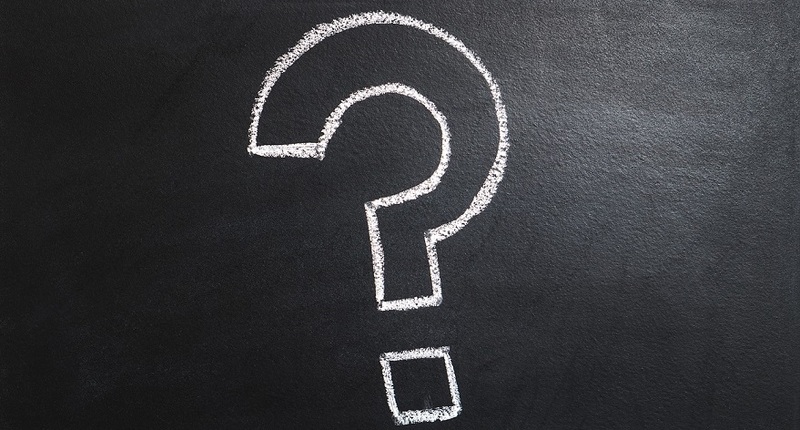 The Local Government Ombudsman (LGO) looks at complaints about councils and some other authorities and organisations, including education admissions appeal panels and adult social care providers (such as care homes and home care providers). Read more on how you can contact the LGO if you feel this might apply to you. This guide is aimed at young people aged 16-25 but is a good resource for parent carers. prepare for going to mediation and tribunals. Click through to our emergency information page for contact details and what to do. 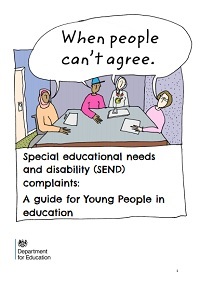 Child excluded or threatened with exclusion? If your child has been excluded from school or has been threatened with exclusion due to their behaviour, ACE can help you. You can phone their exclusion advice line 0808 800 0327 or exclusion information line 020 7704 9822. 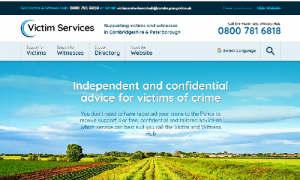 A new organisation has launched giving advice and support to victims and witnesses of crime in Cambridgeshire and Peterborough – including young victims of bullying, hate crime and online crime. The website also offers a searchable directory of local support organisations who can help people cope and recover from the trauma they have faced. You don’t need to have reported a crime to the Police to access this free, confidential and independent advice or the support organisations listed in the directory.